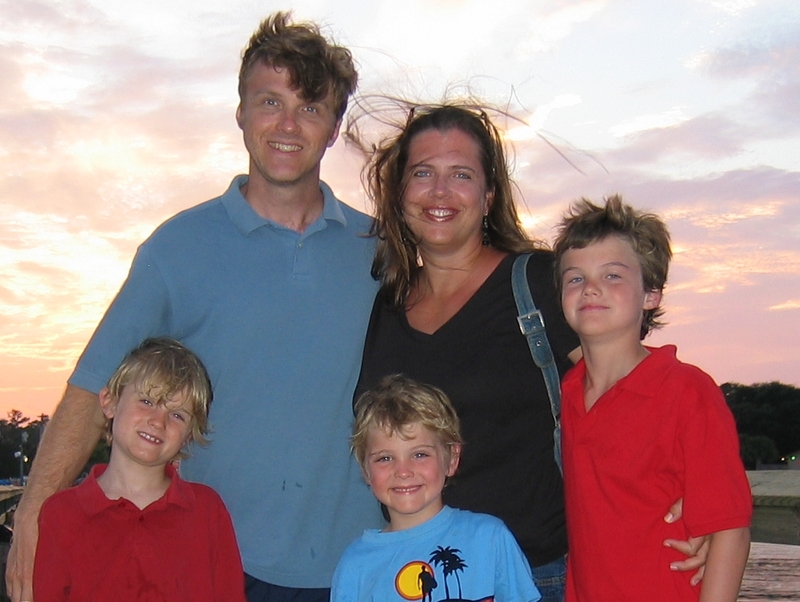 Scott and Robin live in the mountains of western North Carolina with their three young sons. You can find them hiking, backpacking, or biking most weekends, especially in the Spring, Summer and Fall. Scott has been into the outdoors since his middle school years when he really got a taste of backpacking at Camp Buc. (We can not speak about Camp Buc since it has been nearly 30 years since Scott had contact with the organization or property. But he had a great time there and learned a lot about himself and the outdoors.) Since that time Scott passed through Clemson University receiving an engineering degree, meeting his future wife, Robin, and exploring more of the Blue Ridge as well as some small parts of the Rockies and Tetons. Robin and Scott married at Camp Greenville overlooking the foothills of the Blue Ridge Mountains. Starting during her time at Clemson, Robin has embraced more and more outdoors experiences. She and Scott settled in Asheville and started a family in the late 90’s. As the boys have come along, Scott has spent a lot of time and energy finding affordable ways to get the family out to enjoy the beautiful area where they live. He had to find affordable clothing and gear options, determine what they really needed to carry (because he was carrying most of it! ), and then decide where to lead the family. He was always mindful that the boys’ first memories of the outdoors should be great ones. The boys all were carried in a baby pack until they reached the age of 2 or 3. From that age, they hiked carrying their own small backpack with something…maybe just a rain coat and stocking cap….and they often got a piggy-back ride from Mom or Dad. Scott found ultralight principles to be a necessity for packing for a trip with several young kids because the kids just couldn’t carry much weight. But, most of the ultralight backpacking information he found on the Net, was written by and for adults without kids.